My eyes focused on the area of their noses. Here goes...the "lighter" MJs nose seems slimmer and smaller. When I see the latest pictures is like "Finaly, Michael, with no doubt!" . It's so anoying when you se a photo and you have to wonder is him or not? And then you go: "what kind of fan am I, I don't even recognize him!" But the first picture of "him" is weird. Weirdest he looks like Michael in the window with Blanket waving to the fans.....so it makes me think it's all him! the "lighter guy" with the slimmer and smaller nose have something in his neck and the other not. OMG :shock: :shock: he looks dang hot! i dont understand why they have done this now..
these other photos have been shown all the time :? I don´t know...it´s definitely he in the same posture, so you can´t do the the same picture with someone else again! I'm with you on this one, so I'm blind too! :? IMO those are the same pics, but looks like if they have removed the shadows on his face, and added a lot of brightness (you can see whites more whiter, and white things that you can't see in the old ones, like the "Ray Ban" thing on his sun glasses), just my opinion. Okay guys, I noticed something with the O2 Guy and the TII Movie Guy. 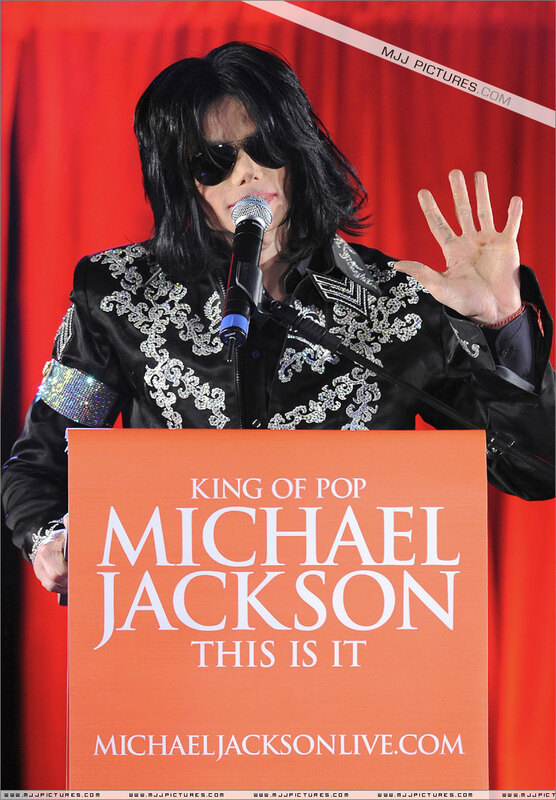 Let's take it first from the TII Movie Michael. 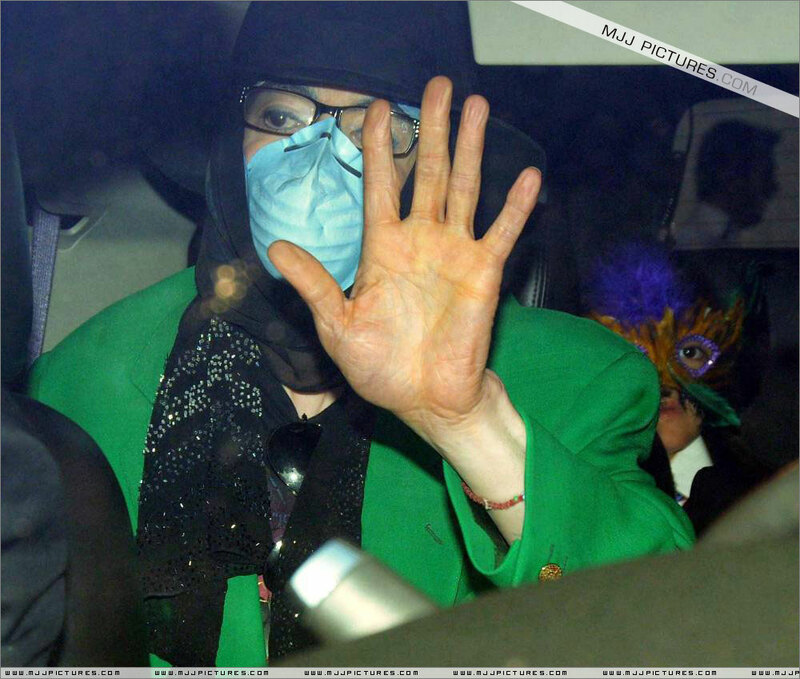 In one of the pics of the TII Movie, Michael has a cut on his left hand. Then, let's take the guy at the O2 Press Conference. Last night, there was a special about Michael on tv and one portion that caught my attention was when the O2 Michael was motioning with his left hand, I saw the cut on his left hand, too. I wasn't able to record the show because of the thought that the footages they would show, we must have seen them already. Actually, the tv special is just the same info/vids/footages but the only difference is that the cut in his hand was in my mind. I'm going to check and recheck the YT vids on O2 conference and recheck the cut in Michael's hand and compare it to the pic. So, if we would say that the TII Movie guy(with the red shirt) is the real Michael, then the O2 guy is the one and the same Michael. Back in july i seen 2 videos of the 02 conferance, The curtain was open in one. Sorry, even there is a little difference between both hands.